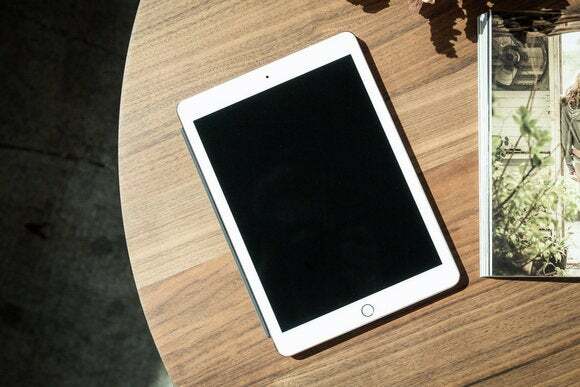 Apple leads the mobile enterprise and consumers, prosumers, and enterprise users all have high hopes for its iPads, but one thing we haven’t yet had is support for drag-&-drop between apps on the tablet. UPDATE: WWDC 2017 pre-event speculation claims Apple is about to introduce its own file system for iOS. More here. Independent developer, Readdle, has updated its suite of productivity products to support drag-&-drop between themselves. This means users of Scanner Pro, PDF Expert, Spark and Documents can shift items between these apps using drag, drop, and touch – what could be more intuitive? The developers see this as a highly logical next step when using iPad Split View mode. I imagine many iPad users would agree. The developers also upgraded their Documents 6, claiming to have turned it into something like a macOS Finder, but on iOS. “Documents serves as a single integration hub for all your cloud services! Connect your Dropbox, Google Drive, Box, WebDAV and access all of your files online and offline from one app” they said. The lack of this kind of Finder view has limited what some users have been able to do with their iPads, so it will be interesting to see what use (if any) people make of the (albeit limited to Readdle apps) feature now it is here. In a press statement, Readdle said: “Apple hasn’t introduced a way for those two applications to interact, but this didn’t stop us from finding a way to make cross app drag-&-drop work. The fact that we have an ecosystem of productivity apps with millions of users makes it possible for us to create this for seamless experiences of our users. “The Readdle Team hopes that Apple will introduce their own implementation of inter app drag-&-drop one day,” they added. Many iOS users don’t really want to replicate the Mac operating system on their tablet. Apple’s intention with the OS has been to create a modern system that logically connects with future computer interfaces, and drag-&-drop support may not have fitted this philosophy. Has this changed? It is certainly preferable to be able to use one original document across multiple apps – right now, if you work on something on multiple apps you end up with multiple editions of the same item, one for each app. It is possible (I suppose) that Apple’s newly-acquired Workflow solution will be able to help resolve that challenge. Readdle’s implementation of drag-&-drop support is quite elegant, though it only works between the developer's own apps. You tap an item until a small icon appears and then drag it across the line dividing the iPad Split View screen into the other app. Right now you find that the apps then do something logical, in Documents you can even file items within the app’s own filing system, which includes what I’d call an alias that lets you pop an image into your Photos library. One more thing that’s got to be of interest to SME’s and enterprises that use Macs as well as iPads – so long as the Mac is on the same network as the iPad and both devices are synced, you can even drag-&-drop Documents items from your Mac to your iPad using your iPad. The developers deserve congratulation for figuring out how to deliver drag-&-drop on iPad – it really is one of those features that can radically improve workflow. It will be interesting to see if other developers (such as Microsoft with its Office for iOS solutions) follow suit, as doing so may make a big difference to the rapidly growing iOS enterprise market. Apple may even want to consider introducing similar system-wide technology, integrated with Workflow. Perhaps we will learn more about the pro future of iPad Pro at WWDC next week.